144Hz monitors under $200 used to be impossible to find a few years back since you had to pay for a hefty premium for the extra smoothness. Today’s advancements in technology and the normality of these monitors in the gaming market has dropped pricing considerably. The 144Hz monitors under $200 available today make responsive and smooth gaming reachable by a wider audience which also expanded the reach of E-Sports class gaming. What Can I Expect From 144Hz Monitors Under $200? Frankly, 144Hz monitors aren’t the best you can buy nowadays since their heyday has long passed. There are faster and higher-resolution models coupled with modern technologies, but those incur a premium tax some are not willing to pay. 144Hz monitors under $200 will definitely have a few shortcomings or limitations, but that’s something we’re willing to live with to experience smoothness for cheap. 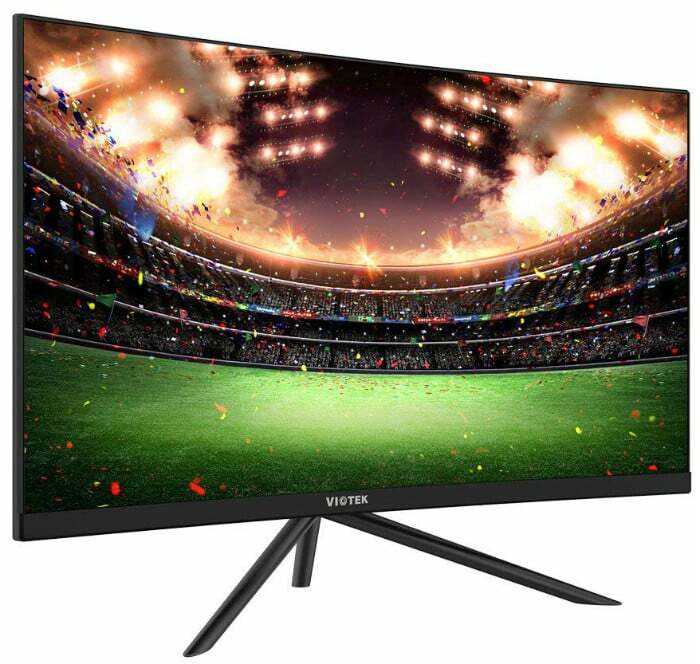 The first limit of 144Hz monitors under $200 is that they are all 1920 x 1080 in resolution making them less crisp or detailed than their 1440p and 4K counterparts. However, that’s a good thing since the monitor will be relatively easy to run with decent midrange GPUs. Building a setup for competitive E-Sports has never been as affordable and manageable like it is now. The second biggest limitation is the 144Hz monitors under $200’s lack of creature comforts. Some of the models presented below won’t have a complete range of ergonomics, additional connectors, or extravagant calibration settings. Image quality should matter less in this category anyway since most of your cash pay for the extra frames the screen will allow. You also have to accept that most of the 144Hz monitors under $200 are older models which could mean that they aren’t the current best and brightest offerings. Their time and staying power in the computer market reduced the pricing, but it also says that they are reliable options since they are still offered. Most of us mere mortals have limited budgets for gaming gadgets such as monitors because of, well, everyday life. That’s the most obvious reason of all, but considering to get a product that fits in the 144Hz Monitors Under $200 category has several benefits. For one, you don’t dispose of a ton of cash which enables you to save for another upgrade or better PC specs such as a more powerful GPU. There are also some who would purchase one of the 144Hz Monitors Under $200 solely for the extended refresh rate for E-Sports titles. Think about it, games like CS:GO rely more on precision and speed instead of nifty extras or eye-popping color accuracy. It’s also easier to build a triple monitor setup for the ultimate immersive experience if you choose budget-friendly monitors from this tier. But the bottom line is that these monitors can still offer a considerable upgrade for users if they are coming from 60Hz variants. The smoother motion and graphics isn’t something we can describe in words, nor something you can let go of once you’ve tried it. We’ve even heard a few gamers swear by 1080 at 144Hz versus 4K at 60Hz because of the former’s benefits for gaming. 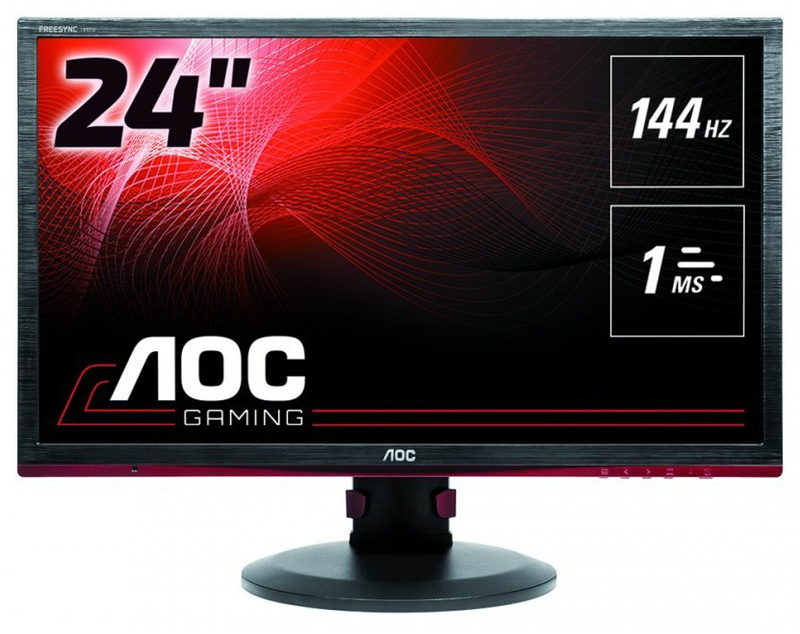 The AOC G2460PF is our top pick since it provides a smooth and responsive display output coupled with a well-equipped package. This FreeSync monitor comes with a fully-adjustable stand and a build quality that should outlast a few upgrade cycles. It’s FreeSync range of 35Hz to 144Hz is also one of the best in the business, meaning your gaming is protected even if the FPS drops below reasonable levels. 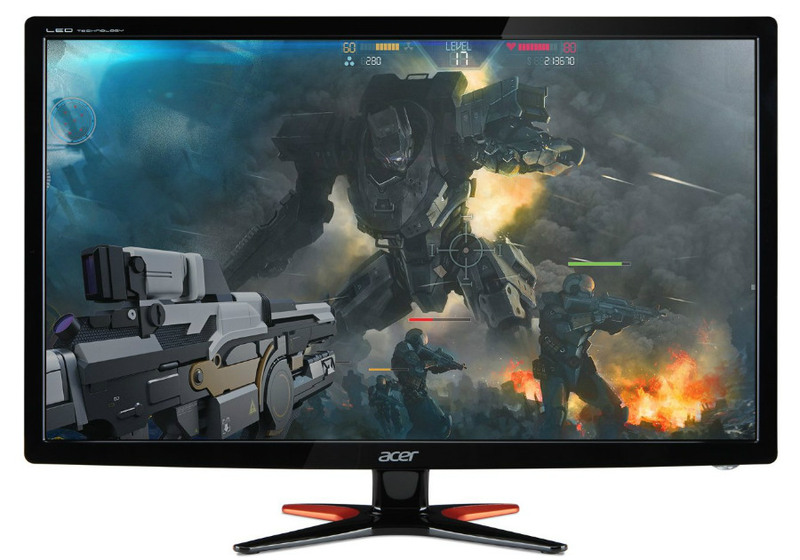 The Acer GN245HL is one of the oldest models in this lineup, but it still is one of the best selling gaming monitors because of its affordability. For less than $200, you get to enjoy smooth graphics will less blurring, making it ideal for low-spec E-Sports titles like CS:GO. The GN246HL isn’t flicker-free and fully-adjustable, but its VESA compatibility should solve your setup woes easily. 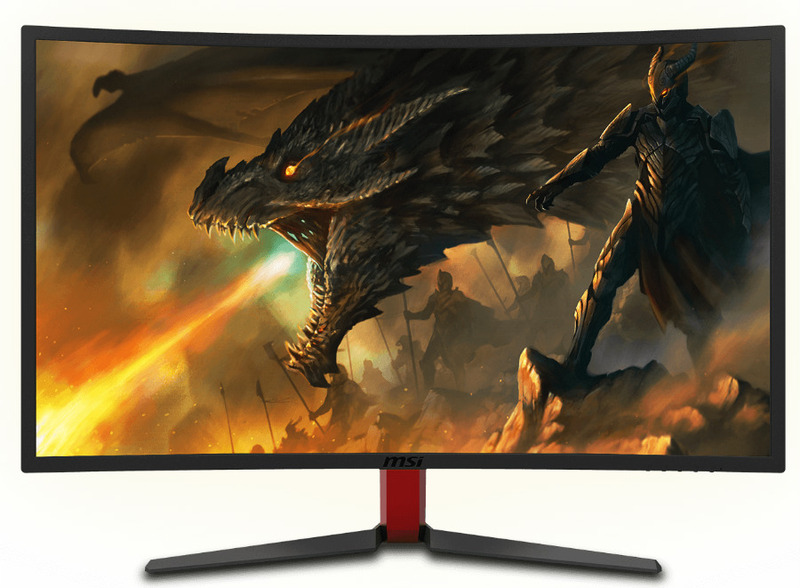 The MSI Optix G24C is the cheapest curved 144Hz monitor in the brand’s line up, but it carries a few enticing specs that could sway the thrifty gamer. This monitor sports a curved VA panel that offers a certain level of immersion which isn’t readily available at this price point. The G24C also provides more vibrancy and saturation due to its wider gamut and deeper contrast ratio. The Acer ED242QR brings a curved VA panel with deeper blacks and more vibrant colors at a low price. The monitor’s simple design that includes an OSD joystick makes it one of our favorites because it’s easy to place in any aesthetic theme you can create. 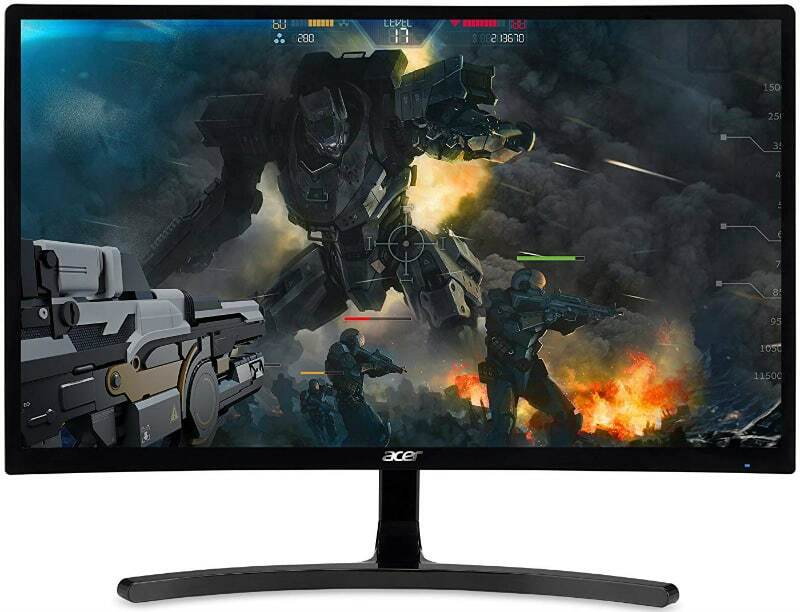 It’s also a huge selling point that the Acer ED242QR comes from a brand that sits in the top three when it comes to gaming displays. The MSI Optix MAG241C is the upgraded variant of the G24C, so it sells for a bit more than the $200 target. This model carries improvements such as better aesthetics and ergonomics, plus a much more convincing imaging output. 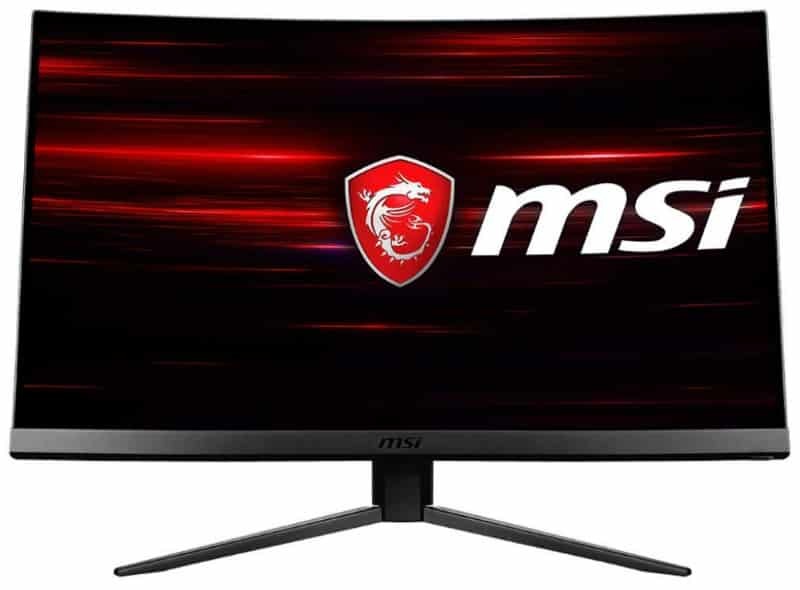 The MSI Optix MAG241C still belongs in the best 144Hz monitors under $200 line up because it regularly gets price cuts at random points of the week. The Viotek GN24CB comes from a less-known brand, but it still offers excellent gaming performance at a low price. The VA panel comes equipped with FreeSync and advanced overdrive feature to cure flaws such as blurring so users can enjoy 144Hz visuals comfortably. The Viotek GN24CB is also borderless and VESA-compatible, making it a viable solution for multi-display setups. Editor’s Note: The 144Hz monitors under $200 are still excellent upgrades if you want to improve your gaming experiences and success due to their responsiveness and smooth output. These offerings are the current practical choices you can buy even if some of them are outdated. We now have 240Hz gaming monitors, but the leap between the refresh limits isn’t as profound as 60Hz to 144Hz, diminishing the returns of every dollar spent. Choose wisely!